On December 21, reports appeared that the SAA’s Tiger Forces were set to be redeployed from northern Hama to the government-held area on the western bank of the Euphrates. A source in the Tiger Forces confirmed this to SouthFront and said that the redeployment process will take several days. However, he declined to provide further information. Reports indicate that the Tiger Forces as well as several other pro-government factions will be involved in further operations to eliminate ISIS cells in the Homs-Deir Ezzor desert. On December 22, US President Donald Trump continued Twitter revelations and said that “ISIS is largely defeated and other local countries, including Turkey, should be able to easily take care of whatever remains. “ The interesting part is that the US president said that the US entered Syria 7 years ago. This contradicts with the official version of the previous US administration that the operation in the country started in 2014 as a campaign to defeat ISIS. Trump’s decision to pull troops out of Syria has not found support among some members of his administration and US congress members. Defense Secretary Jim Mattis and special envoy for the global coalition to defeat ISIS Brett McGurk are resigning as a result of this disagreement. The Syrian Democratic Forces (SDF), which mostly consist of Kurdish armed groups, are deeply concerned with a possible US withdrawal. 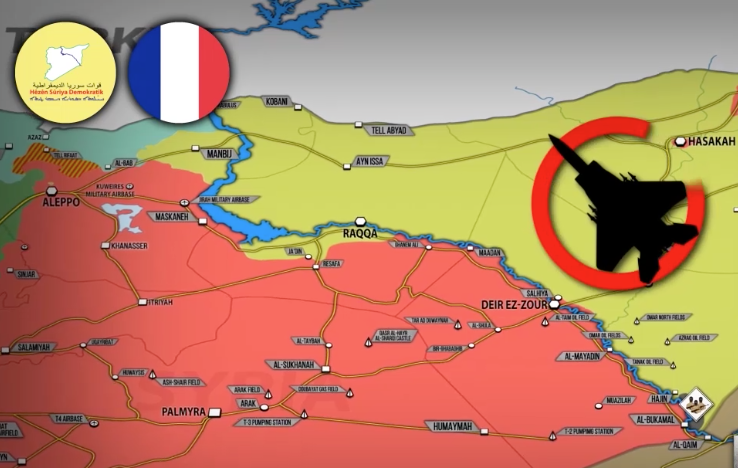 The SDF already blamed Trump for the resumption of ISIS activity in the area of Hajin, called on France to establish a no-fly zone over northeastern Syria and even stated that it does not mind if the Assad government institutions return to Manbij in case if the self-administration is allowed. The SDF also revealed that it is currently engaged in talks with the Damascus government. The SDF’s main concern that after the withdrawal of the main forces, a limited number of US Special Operations troops will not stop Turkey from launching its operation east of the Euphrates. France is also going to keep its troops in Syria, but it has only about 200 servicemen and 3 CAESAR self-propelled howitzers deployed. This is not enough to keep the entire contact line between the SDF-held area and the Ankara-controlled territories. Summing up, it appears clear that even a partial pullout of US troops from Syria will remain a vacuum, which all the sides involved in the conflict will try to fill with own influence.